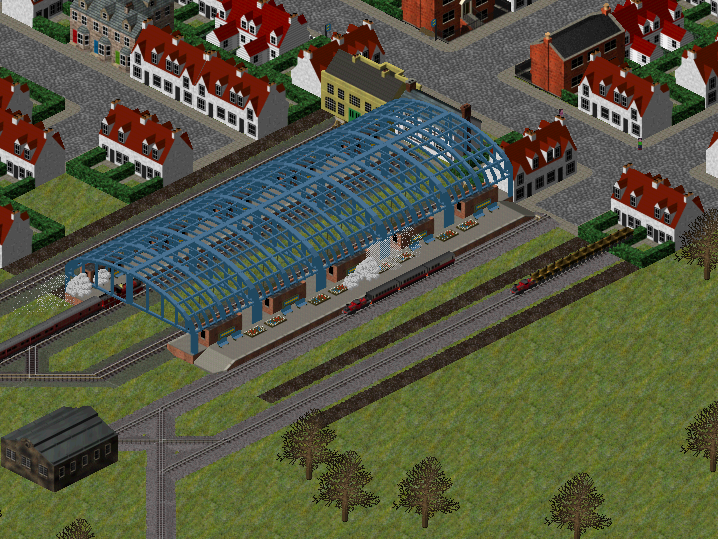 As promised, I have added my work on narrow gauge trains to SVN. I also decided to draw a few vehicles so it is possible to use the narrow gauge from now on. NB I have no plans to make this a priority, so you will have to be very patient for more! This looks lovely! Can you upload your .blends somewhere (Github, perhaps) so that others can use them as a template? Also, the stations: are they exported from Blender in the normal way (i.e., rotate x4 with the same alignments as the vehicles, so that my automatic alignment modification of Zeno's export script can be used), or do they have different alignments? And are there any particular requirements of .dat files for them? I haven't produced station graphics previously, so don't know quite how it works with that type. A Big Thank on You that you have be build in the The Narrow Gauge in pak128.britain! now Can i beginn to creat my own pakset! In my pakset what i want too creat need i all waytyp´s what be give in Simutrans! How about a mail coach, as well? Would there be a similar one for package goods well? Added to the Experimental repository - thank you! I like this addition very much! What will happen if there are a narrow and a normal train at the crossing at the same time. As I understand it narrow gauge is in the monorail slot. If the narrow train has the same behaviour as the monorails they will cross without stopping, won't they? 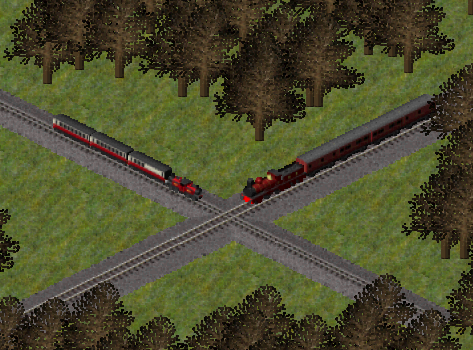 Afaict, if the crossing is taken by one train, the train on the other track will wait. Ofc one of the tracks take precedence over the other (the same as in road-track crossings). Aha, so that's OK. I have not yet come round to download the new version of the pak but I'm quite excited! Nice additions. I was meaning to add something along those lines. Just a thought though - the snow image part of the standard gauge rails looks like the older version which has been replaced since? I now have managed to download the new version and have a look at it. What is also somethig which could be simply copied is the steam effect. It sort of looks akward seeing the steam locomotive moving without it! All the dat's are just copies of the existing standard-gauge ones using the existing graphics. True, the trestle doesn't look quite right, and the carriages are a bit large; but these little trains running into the early 20th century fit quite well into the game play -- what do you think? and a screenshot... For some reason, all the narrow-gauge trains "push back" a tile too far when reversing in the station? Hmm - I am afraid that I am a little sceptical about the idea of using standard gauge sized vehicles and bridges for narrow gauge: it really doesn't look right (and we can see in the screenshot that the locomotive is dwarfed by the wagons). My preference would be to wait until we have real graphics in narrow gauge size rather than use the standard gauge graphics and for them not to look right. I'd also rather wait for correctly sized graphics in the official releases and svn. However you have provided a download for those who can't wait, so that should keep everyone happy. Hi all. First time in an age I've had time to play Simutrans! Just downloaded the new versions of standard (111.0) Pak.Britain (1.09), the new content is awesome! Thought I should report one bug: I can't seem to get the flat-crossing of narrow and standard gauge lines to build, not sure if it was unincluded from 1.09? Obviously there are no bridges, so rivers are also a problem (but a known one I think!!). Right, off to play some more! AP, welcome back! Wlindley's narrow gauge additions didn't make it in time for 1.09, but you can download here or wait for the next nightly pak. Oh yes now I remember - I was waiting for wlindley to re-do the crossing images to use the new standard gauge snow images. Just been playing with the narrow gauge on the server game. It works really well. The balancing is favourable (ie about right) - it's quite easy to set up a profitable albeit slow route serving small communities - exactly as narrow gauge in the UK was used. What I found harder, however, was 're-gauging', once traffic levels rose sufficiently, since obvously that involved lifting all the track and putting standard gauge track down on the same route. But we can't have everything! The difficulties with re-gauging seem to be realistic in principle, although it is of note that none of the UK narrow gauge lines were, as far as I am aware, ever upgraded to standard gauge; narrow gauge seems to have been used solely in those remote communities that were never going to generate enough traffic to justify standard gauge in the first place. Wow. Not bad for a complete guess at the finance numbers! Thanks for the feedback. The photo from the crossing between Standart gauge and narrow gauge looks good out. The one (acknowledged) omission which makes using it rather awkward at present is the lack of bridges - even one would help (a wooden one maybe, noting the low locomotive speed). I ended up demolishing rivers, which isn't ideal... I know NG is a low priority, but I'd suggest a bridge be high on the to do list! Some of the most spectacular wooden trestles in America are on narrow-gauge railways, is the same true of England? Any bridges for either gauge would be much appreciated! Hmm... the wooden_sleeper_steel_rail_snow.png that I used, is the one currently in svn revision 622... what newer image is there? 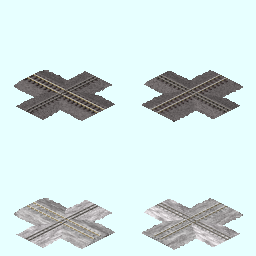 The rail tracks all now use the generic rail-snow.png (I never removed the older images from SVN). The bridge looks great - any chance for a snowy version too? yes, that looks much better, doesn't it.